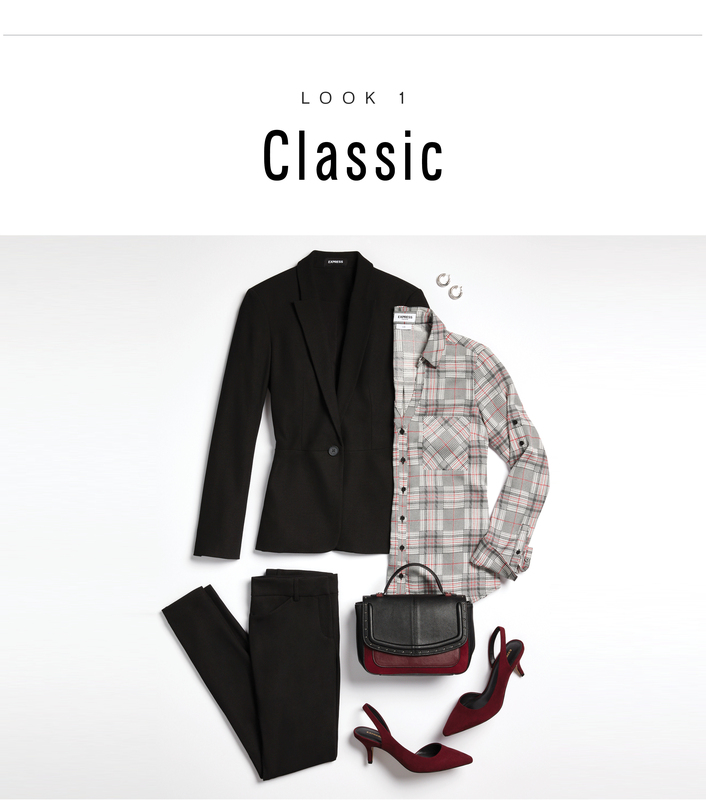 It’s easy to think of a suit as a one trick pony — the outfit you reach for when you need to look you most polished, and probably with the same blouse and heels every time. But that doesn’t have to be the case. Though not quite as interchangeable as your favorite T-shirt or pair of jeans, a suit can be incredibly versatile if you get creative with the styling. If you rotate between a few suits regularly, even better! All the more opportunity to experiment. Suits have been a major trend for the past couple of years and with each new season comes fresh inspiration for ways in which you can wear one. We’re all for a classic look when the event calls for it, but think outside the box when it comes to your suit and consider one as occasion wear, dressed down with sportier extras, or as a smarter upgrade for after-hours be it for dinner, cocktails, or dancing. And while suits can be pricey, it’s all the more to reason to embrace imaginative styling — all the bang for your buck, especially if you own just one. Whether your job requires a suit most days or you’re simply in favor of the suiting trend, ahead we show you how to style one suit five different ways from the office to off duty. When keeping it classic with a button-down shirt and heels, there’s no hard rule that says color can’t be part of the equation. For fall, a rich jewel tone like burgundy is an elegant offset to a black suit. Sleek, tonal accessories tie everything together. 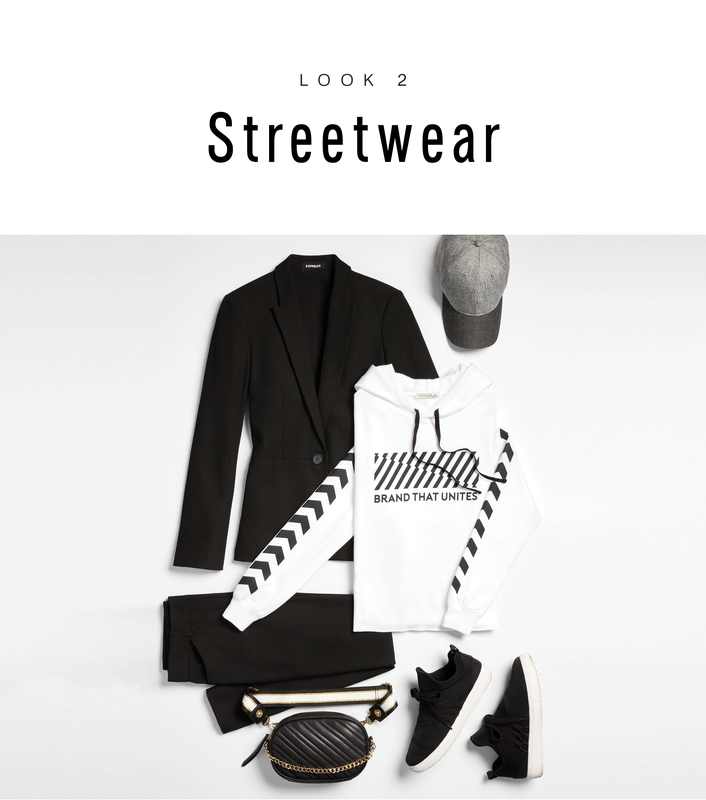 Take the stiffness out of a suit by going for a streetwear look. A hoodie and sneakers bring a cool-girl ease to a trim set while a belt bag and baseball cap are flawless finishes. 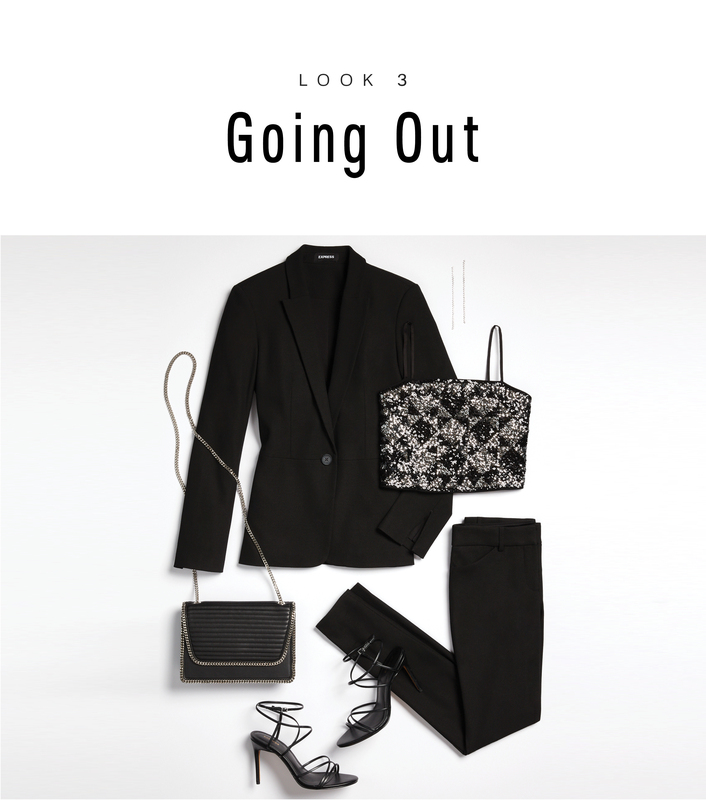 For a night out, break from mini hemlines and skin-baring tops and go for a smart suit. The effect is just as alluring with a sequin crop top, strappy stilettos, and rhinestone drop earrings. 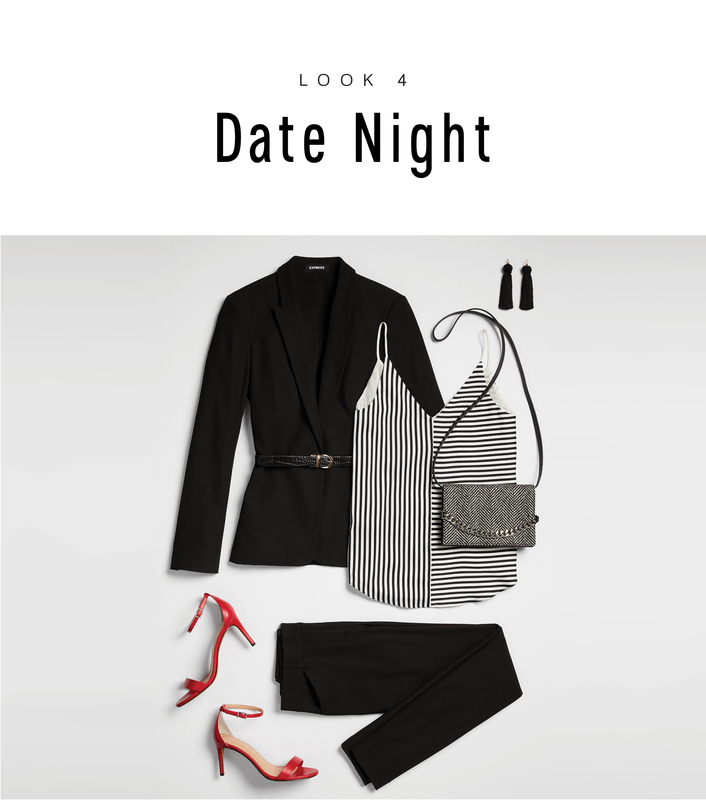 Whether you’re headed straight from work or simply want to dial it up, a sharp suit cinched over a silky camisole sets an impactful tone for date night. 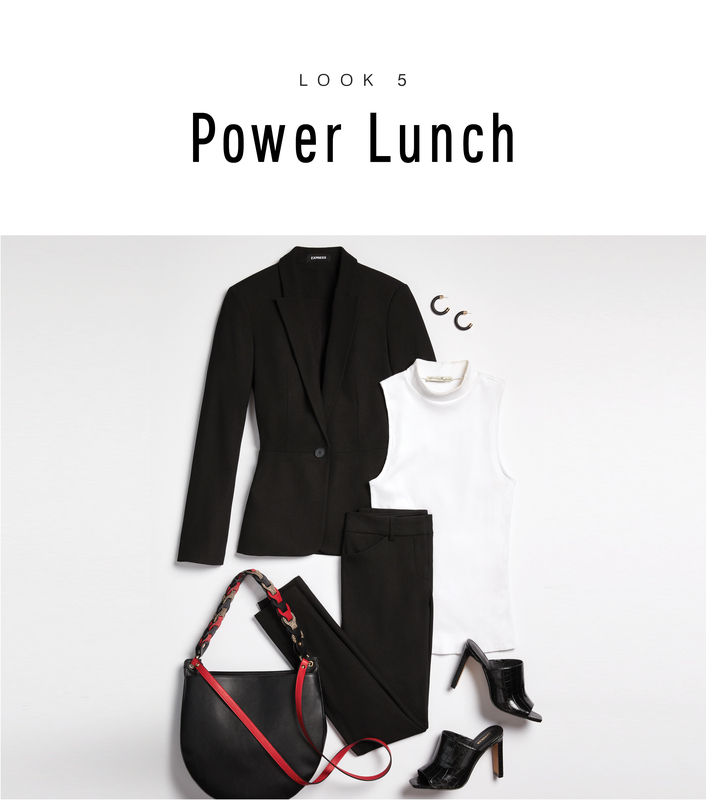 Playful add-ons steer this look into megawatt territory — red hot heels, statements earrings, and a chain-link bag. For those off-duty meetings that still require polish, a suit is undoubtedly the answer. Breathe a dose coolness into the look by styling with a mock-neck tank, heeled mules, and sleek hoops. A statement bag is the ultimate finish.